Size: 14 inches. 16ft extension cord and CUL approved Indoor - Outdoor Adapter. Collector Series. 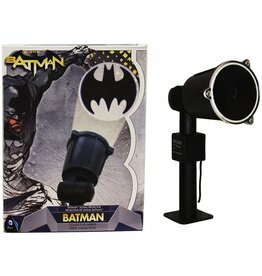 Projects Batman™ Bat Signal by Kurt S. Adler, Inc. creators of renowned Christmas Decorations and Holiday Decor. Hand Painted Ceramic Money Jar w pink tassel and saying: Spending Spree. Size: 5 H x 4.5 D inches. Size: 2.5 inches. Grow a Girlfriend Lover Girl by Ganz Gifts. Grows 3-4 times its size when placed in room temperature water. Non-Toxic.